Have you ever started to work in a Dolphinarium and seen others busy moving around doing different tasks and you don’t have any idea of what you should or could be doing? How many times have wanted to learn or be given the opportunity to work hands on with the animals, but because of your lack experience you have been placed at the back of the line, waiting for your time to come? When new staff start working in a Dolphinarium they must wait until management decides who they choose to work directly with the animals…and you could just be waiting and waiting. What if I tell you, you can learn everything you need to know, even before you step into a Dolphinarium! Imagine going straight in with the confidence and understanding, getting familiar with everything you need to know, including the training jargon trainers use to communicate with each other. You don’t have to wait until someone teaches you the basics of what trainers are doing at any given time, or know what they need to do next. Now you don’t have to wait or risk limited training you may access anywhere else. With our self-educating courses, you can be a step ahead and be able to develop to your fullest potential. You now can learn step by step what they may not teach you on the job or on the internet… the secrets, tricks and different techniques of marine mammal training. The rare Araguaian river dolphin is a mysterious creature native to Brazil which researchers have long thought to be solitary. Because of this assumption, it was believed that the animals would not be capable of complex communication, given that their social structure does not require it. But now scientists from the University of Vermont have discovered that the dolphins do interact with one another and can make hundreds of different sounds for the purposes of communication, according to a study published in the journal PeerJ. Little is known about the Araguaian dolphins, also known as botos, because they are hard to find—as well as being difficult to approach—thus studies about them are limited. They only live in the waters of the Araguaia and Tocatins rivers and their numbers likely do not exceed more than one and a half thousand in total. Fortunately, the research team was able to find a fish market in the town of Mocajuba where the dolphins often visit because people give them food. Here, the team used underwater cameras and microphones to record the sounds and interactions between the dolphins at the market. In addition, they also took some DNA samples from the animals. Overall, they captured around 20 hours of recordings, identifying 237 different types of sounds. But even with nearly an entire day of material, the team speculate that the dolphins can produce more sounds than they recorded. Many of the sounds were short, two-part calls, which baby dolphins made when approaching their mothers. “It’s exciting; marine dolphins like the bottlenose use signature whistles for contact, and here we have a different sound used by river dolphins for the same purpose,” Collado said. The scientists also recorded the dolphins making longer calls and whistles, but these were not so frequent, and it is currently unclear what their purpose is. In bottlenose dolphin communication, longer whistles are used to boost group cohesion. But the researchers think the botos may use them for the opposite reason—to maintain distance. The team say that the frequency of the river dolphin calls were somewhere between the low-frequency sounds made by baleen whales to communicate over long distances and the high-frequency calls used by marine dolphins over short distances. Collado suggests that the acoustic characteristics of their calls were likely influenced by the river environment that they live in. “There are a lot of obstacles like flooded forests and vegetation in their habitat, so this signal could have evolved to avoid echoes from vegetation and improve the communication range of mothers and their calves,” she said. The Araguaian dolphins were only identified as a distinct species in 2014, differentiating them from their close relatives—the Bolivian river dolphin and the Amazon river dolphin. While the classification of Araguaian botos is still up for debate, Collado notes that calls between the species show significant differences—Ecuadorean Amazon river dolphins are very quiet, for example. When 10 years has passed and you see with your own eyes, the proof of a unique bond between an animal and a human. I was so flabbergasted it took my breath away and brought tears to my eyes. Misty… the closest animal to me and the smarted dolphin I have ever trained, proved to me once again, what a special bond we had after 10 years without interacting with each other. When I remember how we found her its breaks my heart! She was just a baby, floating lifeless, like a piece of drift-wood in the open ocean, alone and close to dying, when we came to her rescue. It was April the 4th 2005, she was a very sick, cast away from her family, very dehydrated body, with severe infections plus around six ulcers in her stomach, which I later observed through our endoscope camera. After nursing her back to health, she soon became the most intelligent and responsive animal and after sleeping many nights by her side on the trainer’s platform, we developed a bond that was evident in her reaction to me, whenever we were together. Fast forward now to two weeks ago, on a visit to see all my friends at Dolphin Cove Jamaica Ocho Rios, my one thought was how was Misty. She was 16 years old whilst I was there, so I wanted to see my young friend! I was asked if I wanted to help feed her and naturally, with such a kind offer from the trainers who by now had heard of our history, I could not miss the chance to see Misty. I gave her a tactile signal, which I used to give her always when we used to play, only she and I knew about it, it was our little secret… I was speechless when she responded positive and with fluency to my signal after 10 years…my heart was bursting with happiness, after she showed me that she remembered my unique signal and touch. I spent a short while with her and could tell by other unique signals and touches that she remembered each one perfectly. It was an amazing experience and confirms my belief that not only are these beautiful animals so intelligent, but that a special bond can exist between a trainer with an honest kind heart, putting their love into how they treat their animal and an animal respecting that treatment. Often, Misty offered to perform without constant positive reinforcement, because she trusted me to reward fully at the end of the program, this was also somewhat unique to Misty and I, but it also demonstrates what can happen, if you treat the animals with love and respect. A big thank you to you guys at Ocho Rios for making this experience possible, it will remain in my heart, as will Misty, forever. It was found in marine sediments 1km (0.6 miles) inland from Peru’s Pacific coast, at Playa Media Luna. The location has piqued researchers’ interest as the first whales are thought to have first evolved in South Asia around 50 million years ago. “Whales are this iconic example of evolution,” Travis Park, an ancient whale researcher at the Natural History Museum in London, said. They have named it Peregocetus pacificus, meaning “the travelling whale that reached the Pacific”. AdCollect Conservation Data on Dolphins & Other Marine Life. Enquire Today & Discover Tropical. Zanzibar, off the coast of Tanzania, is a beautiful tropical island and tourist hot-spot due to its stunning beaches, turquoise waters and vibrant history. 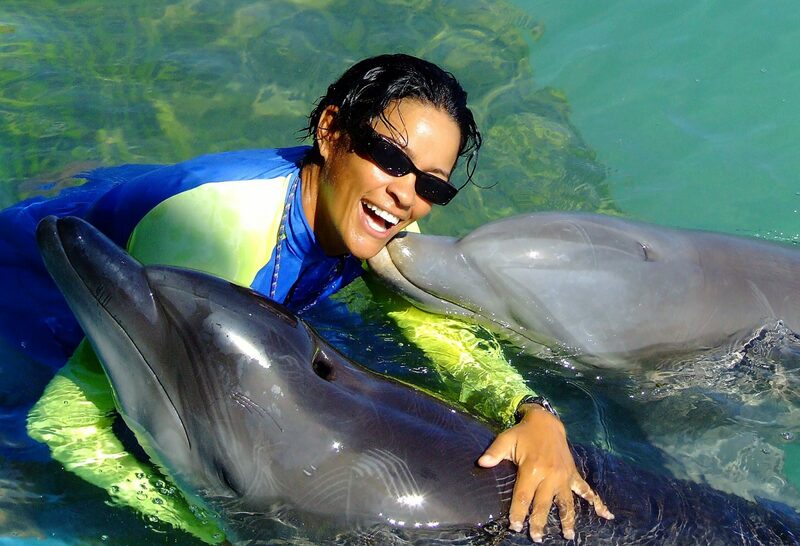 Ticking swimming with dolphins off the bucket list is also why many venture to this exotic paradise. Yet, prominent research shows the harmful effects of mismanaged interactions and this form of tourism on marine mammals. The answer is never simple – considering the local community’s reliance on this income – but, as part of this Marine Eco Tourism Internship abroad you will become part of a positive solution. Throughout your placement, you’ll help to create responsible ecotourism practices, connecting a passion for nature, conservation and entrepreneurship with high calibre data collection for university-led research studies. Every four to five years, The Marine Mammal Center sees a surge in the number of California sea lions that are admitted with symptoms of leptospirosis, a bacterial infection that affects the kidneys and can be lethal. If not treated, the bacteria can cause irreversible kidney damage. The Marine Mammal Center is currently responding to the second largest leptospirosis outbreak on record in California sea lions. Read more about the current outbreak. For media inquiries, please email media@tmmc.org. Leptospirosis is caused by a spiral-shaped bacteria called Leptospira. Veterinarians can usually identify leptospirosis in a patient even before laboratory tests confirm a diagnosis because of the infection’s distinctive symptoms in California sea lions, which include drinking water and folding the flippers over the abdomen. Marine mammals generally do not need to drink water because they receive all the hydration they need from food sources. But when they are infected with the Leptospira , their kidneys stop functioning properly and cannot filter toxins or regulate hydration. Sea lions diagnosed with leptospirosis are treated with antibiotics, fluids and other supportive care, such as gastroprotectants for stomach and intestinal ulcers. Unfortunately, even with treatment, roughly two-thirds of the animals that strand with acute leptospirosis do not survive. However, research using data and samples collected at The Marine Mammal Center, as well as data collected from sea lions in the wild, indicate that many sea lions infected with Leptospira survive and likely experience mild or no symptoms of the disease, unlike the acute cases seen at our hospital. Leptospirosis is a major health burden for humans, domestic animals and wildlife worldwide with over 500,000 severe cases in humans every year. Leptospira can cause disease ranging from infection with no symptoms to severe and possibly fatal disease. The type of Leptospira affecting California sea lions at The Marine Mammal Center is a strain that has also been associated with pigs, skunks and foxes. It’s transmitted via urine, either directly or via contaminated water or soil. Researchers haven’t definitively determined how transmission occurs within the sea lion population, but they believe it occurs primarily while sea lions are hauled out on land. The bacteria may also survive for short periods in seawater, so transmission may be possible when large groups of sea lions gather in the water. When a leptospirosis outbreak occurs, our scientists study the disease to learn more about what causes an outbreak and how we can improve treatment for infected animals. Thanks to the Center’s 43 years of stranding records and bank of blood and urine samples, researchers have a unique opportunity to investigate the disease patterns over four decades. For over 10 years, scientists at The Marine Mammal Center have collaborated with researchers at the Lloyd-Smith Laboratory in the Department of Ecology and Evolutionary Biology at UCLA to study the dynamics of this pathogen in the California sea lion population. The Center has been on the forefront of research on leptospirosis in marine mammals and has published a number of scientific papers on the disease dating back to 1985. Leptospira was first detected in California sea lions in 1970 during a leptospirosis outbreak that occurred along the coast of California, Oregon and Washington. And since the 1980s we have seen yearly, seasonal outbreaks with major outbreak events causing 100 or more sea lion strandings happening every four to five years. The reasons for these periodic major outbreaks in sea lions is unknown, however our UCLA collaborators believe that a combination of factors may be responsible, such as changes in herd immunity, sea surface temperatures and sea lion migration patterns. Interestingly, after 30 uninterrupted years of seeing at least a few cases of leptospirosis annually, the disease disappeared from the population in late 2013 only to reappear four years later. Researchers at UCLA believe the disappearance of the disease may be related to the highly anomalous oceanographic conditions that occurred during the same time period. The abnormally warm waters, commonly referred to as “the Blob,” may have caused changes in sea lion behavior and migration patterns as they struggled to find food sources. Since 2009, the Center’s biologists and veterinary staff have taken blood and urine samples from wild juvenile California sea lions at popular haul-out spots in the San Francisco and Monterey Bay areas. These animals are then tagged and released, and the urine and blood samples help researchers learn more about kidney function and exposure rates among these animals. This collaborative research project also relies on long-term demographic datasets generated by our partners at the NOAA Fisheries Marine Mammal Laboratory. These biologists monitor and track pups born on the Channel Islands every year. We also work closely with biologists in Oregon and Washington who monitor the sea lions in those areas. Many different animal species, including humans and dogs, can become infected with Leptospira through contact with contaminated urine, water or soil. The Marine Mammal Center has a number of safety protocols in place to prevent transmission to veterinarians and volunteers working with our sea lion patients. Bottlenose dolphins are being exposed to chemical compounds added to many common cleaning products, cosmetics, personal care products and plastics, according to a new study in GeoHealth, a journal of the American Geophysical Union. The Trainer I for the Marine Mammal department will provide quality care and training for all marine mammal areas. Participate in the primary care and training of the marine mammal collection. Participates in all areas of marine mammal husbandry and programming. Prepare food and feed according to established procedures. Participate in primary care and training of Otters. Observe animal behavior and report unusual/abnormal behavior to supervisor. Assist Veterinarian during routine animal husbandry. Maintain all feeding, behavior, training and medical records. Clean, maintain, and store utensils and equipment used to feed and care for animals. Assess water chemistry/temperatures and report anything unusual to supervisors. May plan and direct the work of interns and volunteers in primary areas of responsibility. Enter exhibits by use of SCUBA equipment to clean exhibitry, provide animal care, and/or feed. Provide assistance on research projects related to animal behavior, animal nutrition, animal physiology, and water chemistry. Bachelor’s degree in biology, psychology, or related field from a four year college or university is required with a minimum of one year professional experience in Cetacean husbandry and training. An equivalent combination of education and experience that would likely produce the required knowledge skills and abilities may be considered. An Open Water SCUBA certification is required for consideration. This position offers an attractive benefits/vacation package including a 100% employer paid health plan, dental, vision, disability, life insurance, and 403(b) retirement plan with a 100% match of the first 5% contributed. Please apply online at https://discover.texasstateaquarium.org/careers/ Any applications submitted through AZA will not be reviewed. The marine mammal department at the Shedd Aquarium is comprised of 4 animal teams. Three of these teams focus on birds and marine mammals, and 1 focuses on our interactive programming animals. The interns support the daily operations of the department. We offer 2 exciting internship opportunities, one focused on marine mammals and one focused on animal ambassador programming. Marine mammal interns help care for Pacific white-sided dolphins, beluga whales, northern and southern sea otters, California sea lions, three species of birds of prey, and rockhopper and Magellanic penguins. The ambassador animal program intern(s) will work with various species including bird, reptile, invertebrates, and terrestrial mammals. These internship experiences are designed to be a career learning experience—offering exposure to animal husbandry, positive reinforcement training, animal behavior and the chance to complete an individual observational or research project. Interns master food prep, record keeping and the basics of caring for and feeding animals. Interns have opportunities to exercise leadership and communication skills and join a network of professionals caring for animals in Chicago and across the country. Three 6-month terms each year, with new terms beginning early January, mid-May and early September of each year. See application form for specific submission deadlines. • Marine mammal interns work three 11-hour days per week, including one or both weekend days. • Ambassador animal program intern works four 8 hour days per week, including one or both weekend days. • Attendance at three evening seminars is encouraged but not required. Responsibilities include: • Cleaning: A significant portion of time is spent maintaining a clean and healthy environment for the animals. This includes thorough cleaning and disinfection of animal habitats and reserve spaces, kitchens and food prep areas and animal dishes. • Food preparation: All interns spend a few hours each shift helping to prepare diets for all the animals. This includes thawing, inspecting, weighing, and cutting various food types as well as formula preparation and vitamin administration. Animal ambassador program intern will also prepare live feeder insects. • Recordkeeping: Interns assist in daily record keeping, helping to document diets consumed, cleaning chores, behavioral observations, session notes and enrichment details. • Special project: After mastering the basic chores of the department, each intern is assigned a special project to complete throughout the internship. A portion of time each day is allocated to the project and interns present their findings via power point slides at the end of the term. Projects may be focused on animal enrichment, animal behavior or data analysis, based on the current needs of the department. • Marine mammal intern will help assist in sessions and shows: Interns perform a variety of tasks during animal training sessions and shows, including operating manual and hydraulic doors, setting up and breaking down equipment for public presentations, managing guests, and assisting alongside trainers during animal training sessions. • Animal ambassador program intern will help assist in public presentations: Interns will assist in public encounters. This will include managing crowds, answering questions and handling small animals in front of a group of guests. Qualifications required: • Must currently be in a degree program or have graduated from one. Preference is given to those who are or have studied marine science, psychology, animal care or a related field. • Must be willing to support Shedd’s mission and represent the organization well to all guests. • Applicant must be committed to high quality work and able to follow directions to maintain high standards of care and cleanliness. • Desirable characteristics include: strong work ethic, positive attitude, and genuine curiosity about animal care and training. • Applicants must be able to work well independently and with a team. • Successful applicants are able to communicate openly and professionally, willing to ask questions and collaborate towards solutions. • Applicants must be able to regularly work all weekend days and holidays as well as late-night shifts when assigned. • Ability to lift objects in excess of 40 pounds as well as bend, crouch, squat and carry heavy buckets as needed. • Interns will be exposed to very cold temperatures and to salt water on a daily basis. • A commitment of 24 weeks, 33 hours per week is required. This internship is designed for college students or recent graduates interested in pursuing a career in animal training or animal behavior. Interns will work directly with the Curator of Behavioral Husbandry and animal keepers to learn the principles of animal training and enrichment through practical application, research and hands-on work with the animals. This internship will focus on seal training and polar bear enrichment. The intern will participate in animal training sessions and schedule, implement and evaluate daily polar bear enrichment. The intern will also conduct behavioral research to monitor polar bear behavior and evaluate the effectiveness of enrichment. This internship is unpaid and housing is not provided. California sea lion Argus was rescued just a few miles from The Marine Mammal Center near a busy marina. Our veterinary experts determined that he was suffering from leptospirosis, a bacterial infection of the kidneys. Argus was one of several dozen California sea lions we treated for leptospirosis in 2017. Treatment for the potentially lethal infection includes antibiotics, fluids and other supportive care, such as gastro-protectants for stomach and intestinal ulcers. Once Argus had recovered fully from the disease, he was released back to the wild just steps from our hospital. Being different is a privilege.